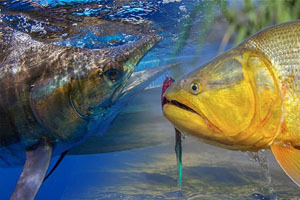 For nearly 80 years the IGFA has been dedicated to the conservation of game fish around the world. Protecting these valuable resources from commercial exploitation, habitat degradation and unethical angling practices is more important than ever, and we need your help to continue this important work! Please consider making an end-of-year gift to the IGFA to support our efforts of protecting and conserving the fresh and salt water species that are crucial to the future of our sport.